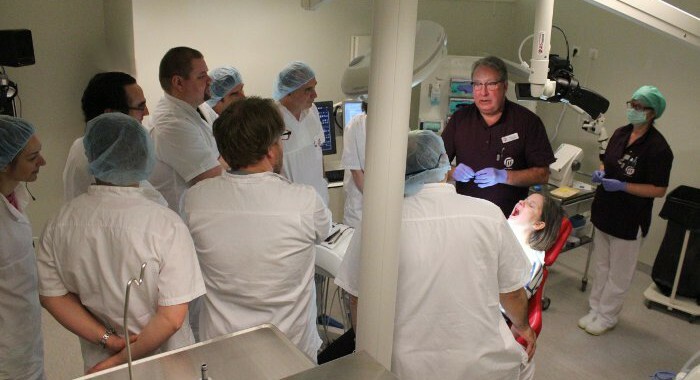 In early January, 12 dentists attended a week-long advanced training course in dental implantology carried out by Malmö University and arranged together with Swedish HealthCare. 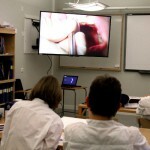 The group of international dentists travelled from several Western and Eastern European countries as well as the USA. 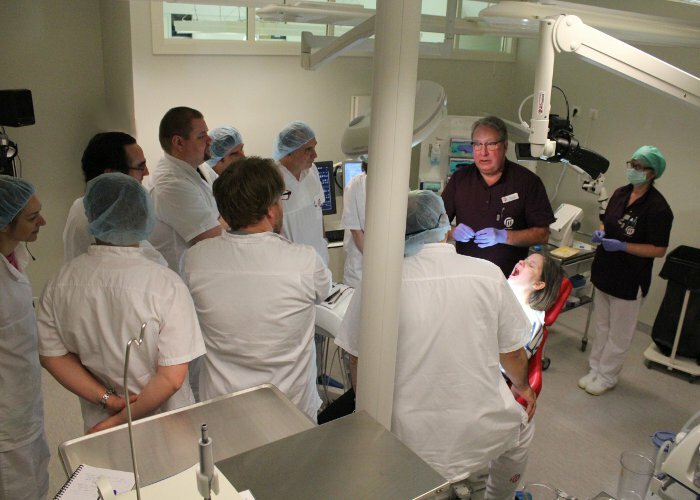 Each of the week-long training course participants came to the university setting to expand their dental implant competencies as well as learn about modern, advanced treatment technologies and techniques. 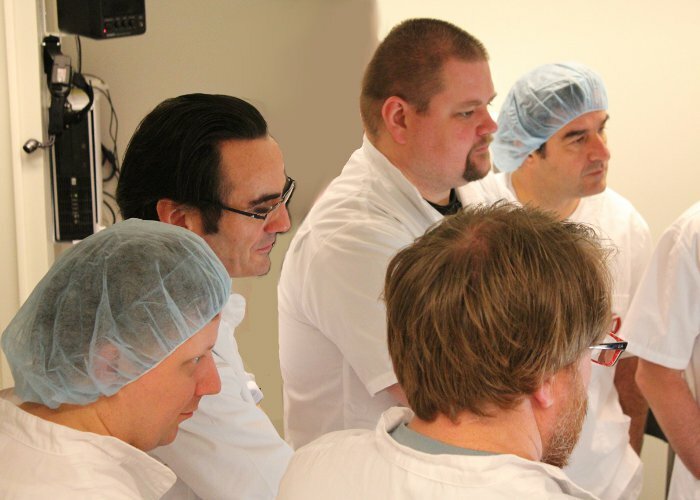 The second of a three level dental certification program, the course module was held over five days and offered attendees insights from non-commercial, independent and certified professionals who work daily with clinical, academic and research aspects of dental implantology. The day’s discussion began centered around the usage of 3D casting and imagery to aid the dentist in gaining proper orientation when working with dental implants. 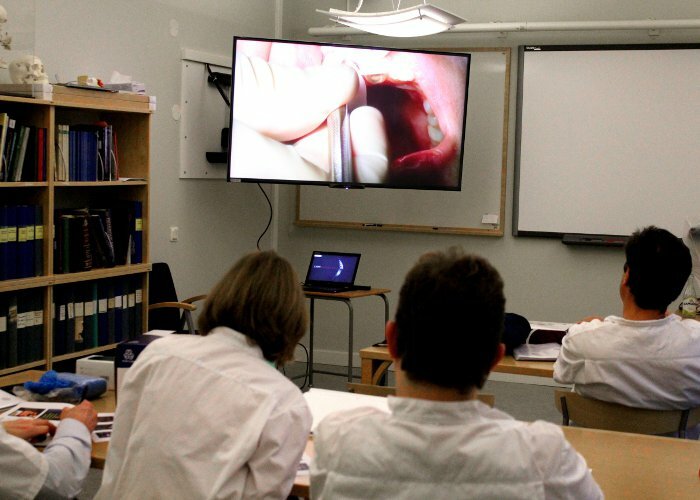 A green jaw casting developed via 3D imagery was passed around amongst the 12 visiting dentists, who listen to a description of its clinical and operational benefits from the main lecturer for the course, Dr. Göran Urde. 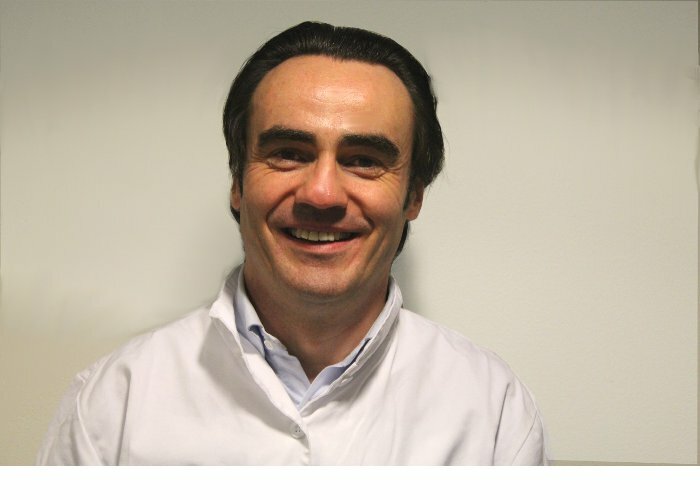 Dr. Urde is a Doctor of Dental Surgery, Program Director of postgraduate education at the Faculty of Odontology at Malmö University as well the Managing Director at the Futurum clinic. He tells the participants that the main item on the agenda for the day is an operation. A middle-aged, female patient will soon arrive and a second dental implant will be inserted onto one of two her upper front teeth. Both fixture and crown are to be set today. The patient case and treatment technique used are described in detail. The treatment, developed by Dr. Urde and his team, is called the tooth now concept and promises to result in extremely good long-term aesthetics. 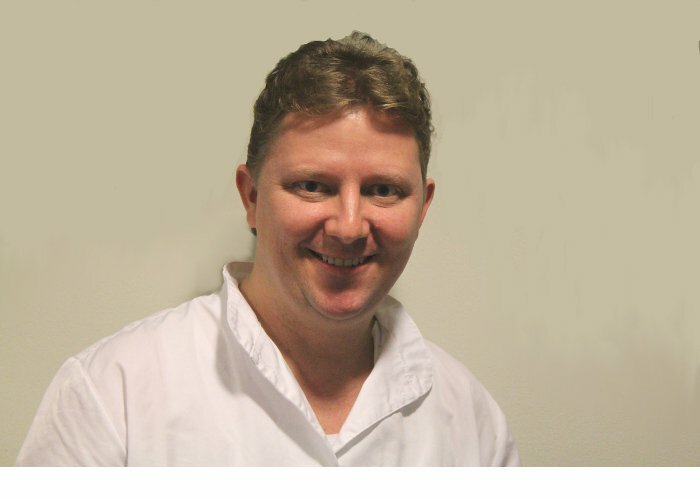 The 12 course participants all have experience with dental implant work and come to deepen their implantology knowledge and skills. 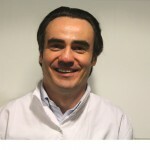 Learning about more advanced treatments was important for Nico Buehler, a dentist from Zurich in Switzerland. A second course attendee, 45 year-old Joseph Bonner, came from the Irish town of Ballybofey in Donegal County. 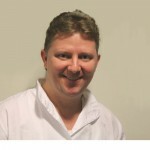 Over the last two years he has performed around 25-30 surgical and up to 70 restorative implant cases per year. How has the course helped?